Knowing the opinions of users is thus as critical to the success of a website as it is to the success of a mobile app; and when it comes to getting those opinions, user tests are the only option. The reason for this is simple: as the actual creators of the site or mobile app in question, we lose the ability to distance ourselves from our product and we live the user experience in a completely different way from our future users. And for the matter, did we ever really have this distance in the first place? Due to our awareness of the company's limitations and the way the app functions – i.e. all those little things users are unaware of – we have in reality never actually been able to see things the way the end user sees them. 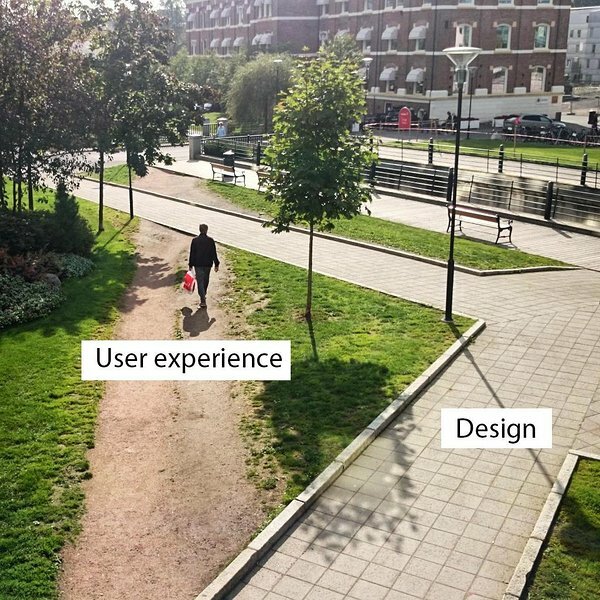 Repeat after me: "The user experience is not simply about ergonomics"
Contrary to the common preconception, testing the user experience is not just about conducting a usability audit. In fact, functional issues and difficulties in understanding the service provided by the application are just as much of a hindrance to users as user-friendliness. from a UI point of view, ensuring that the user interface is both easy to understand and utilize whilst at the same time maximizing the conversion rate, which includes ergonomics, browsing, ease of use, comprehensibility, etc. and finally, from the point of view of the product itself: users are given the opportunity to express their opinions about what you are offering them, i.e. the price, the services, the aesthetics, etc. All this has a measurable impact on both your brand and your business. And it's for this very reason that Ferpection offers its clients a user experience analysis service that operates on three levels: Functionality, Utilization and Perception. tests conducted in the users' presence, especially focus group meetings during which the concept behind the app is discussed – genuine user tests involve observing people actually using the app. The two methods do complement each other however, with focus groups enabling us to explore the market positioning in greater depth and user tests enabling us to assess the real-world use of the app. internal tests: just like you, your colleagues are not users and therefore do not have an external perspective. They can, however, serve as a complementary means of testing: asking "friends and family" for their views provides a source of quick feedback about those little questions you ask yourself periodically along the way. Nevertheless, this should not be viewed as a substitute for more thorough testing conducted with a solid sample of users who do not have inside knowledge of your project. A/B testing, which enables you to statistically choose the best executed version (the "what") from among several possibilities without knowing what the user thinks (the "why"). 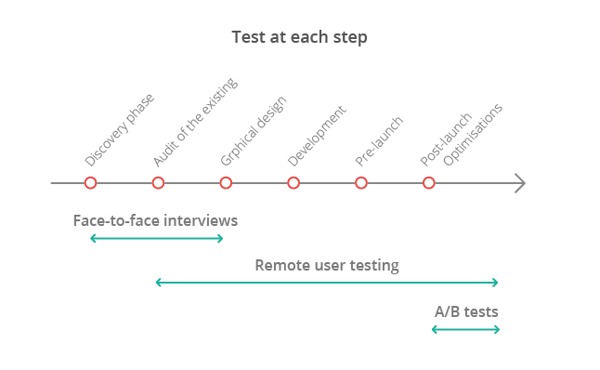 A/B testing can be used to find out which of multiple versions receives the best response after an issue has been identified via user testing. analytic type tools. Some of these tools include modules that enable you to record and observe individual user actions, which makes it possible to identify certain types of issues. However, and as with A/B testing, what the user thinks is unknown. Example: using an analytic tool, you observe that the user spent three minutes on their shopping cart page without clicking the button to move to the next stage. Why? Where they unable to locate the button? Did they go to make themselves a coffee? Did they go to a competitor's app? You can only get the answer to this question by listening to what the users have to say. The complementarity provided by these different methods can also serve as a means of building an optimization strategy over the long term. Enjoyed this article? You can find both it and a whole range of other articles in the MMAF white paper on mobile application quality, to which Ferpection has contributed along with Orange, Stardust and Open.